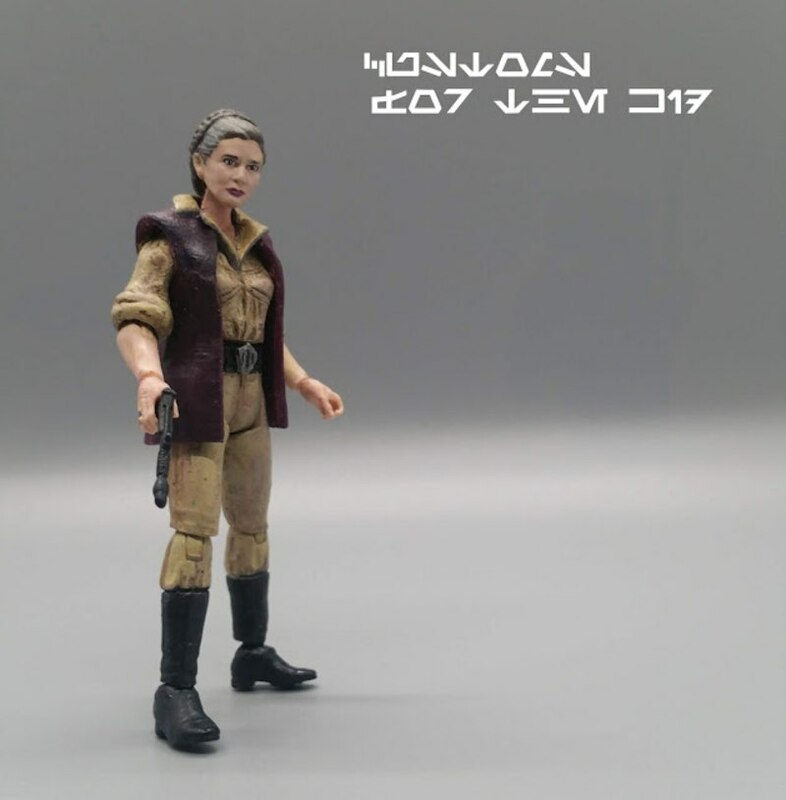 "This figure was a team effort to bring to life. Dad modified the head and body of the figure, while I sculpted on her collar and painted her face and vest. 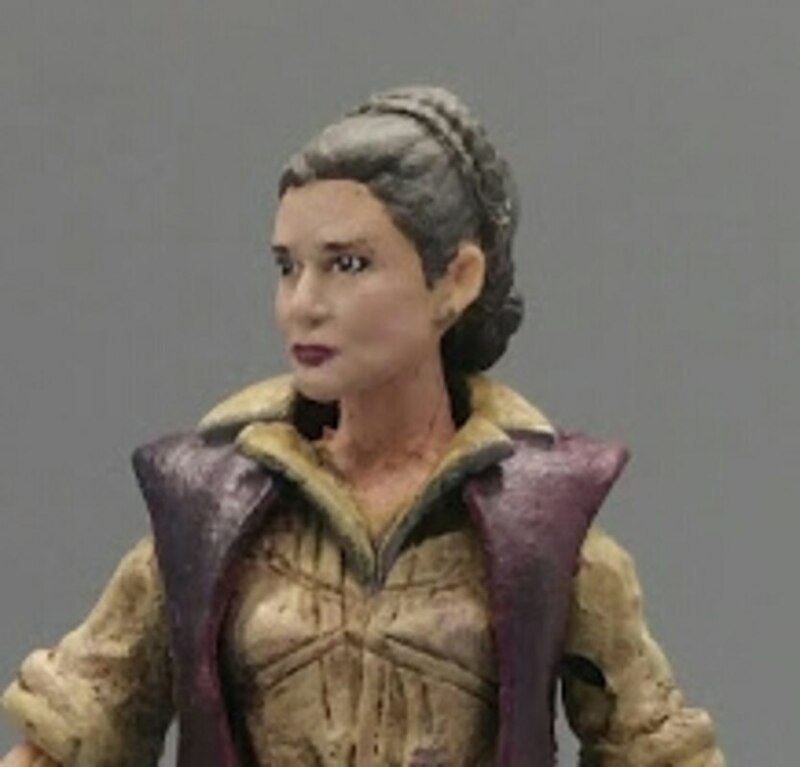 The body we used to make her was from the Star Wars "Dark Horse: Infinites" Action Figure Comic 2-Pack, with the "White Vader and Princess Leia (Sniper)". 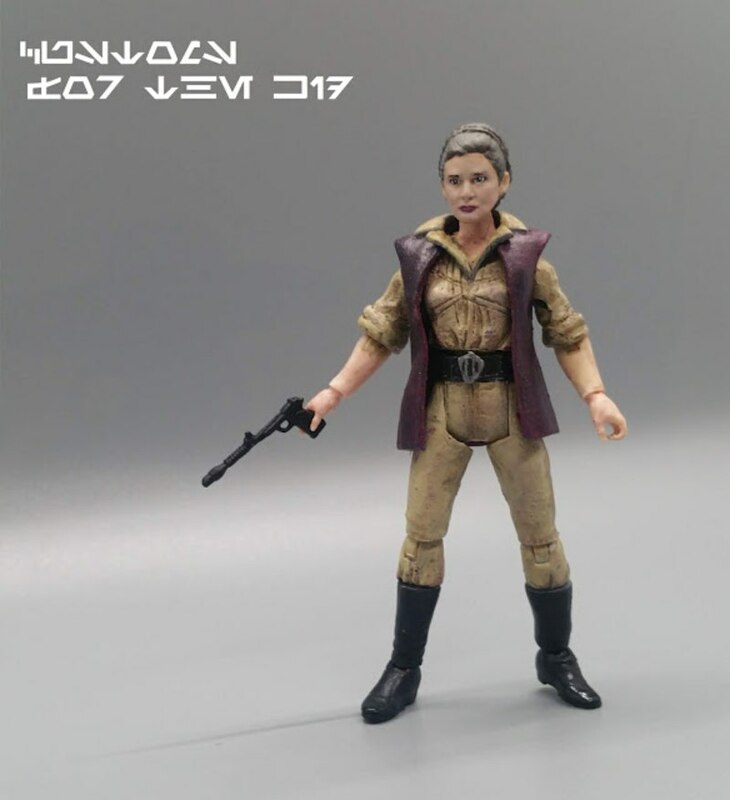 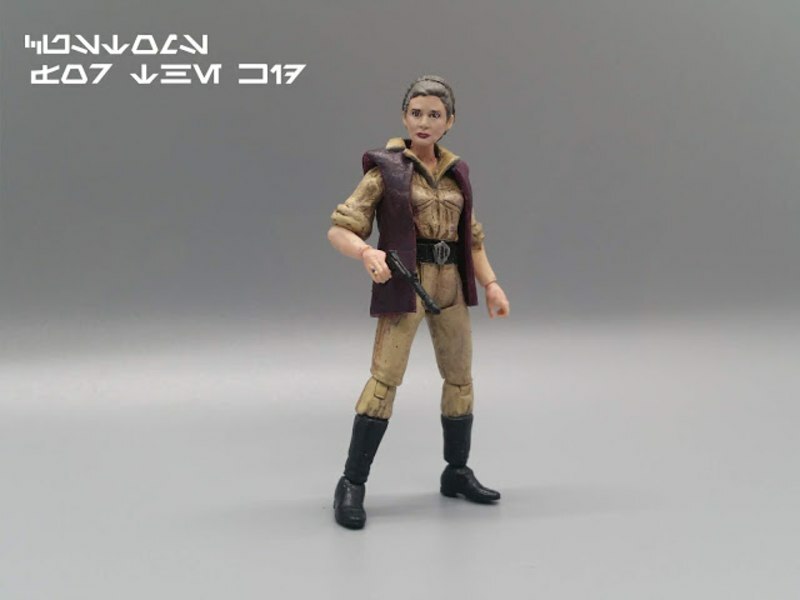 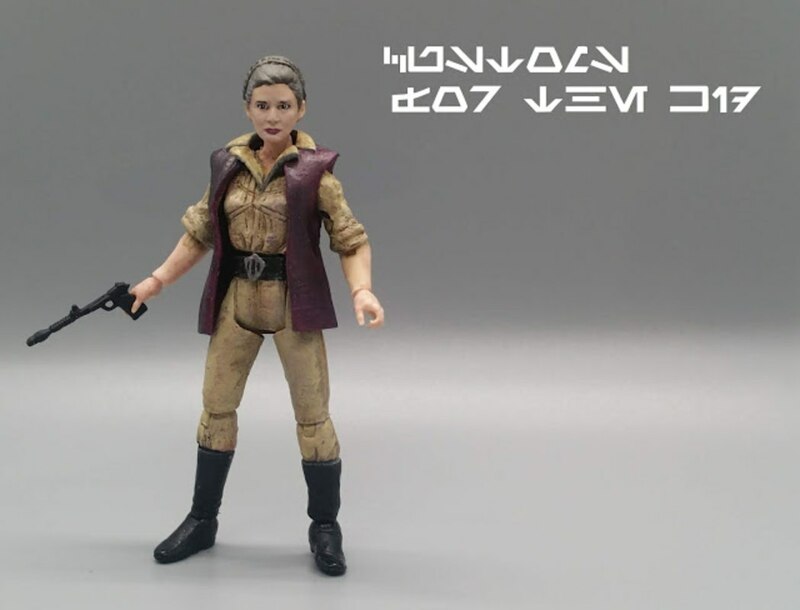 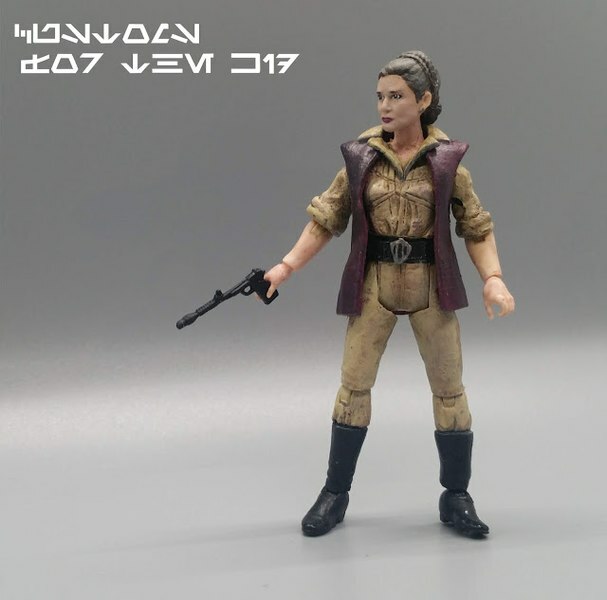 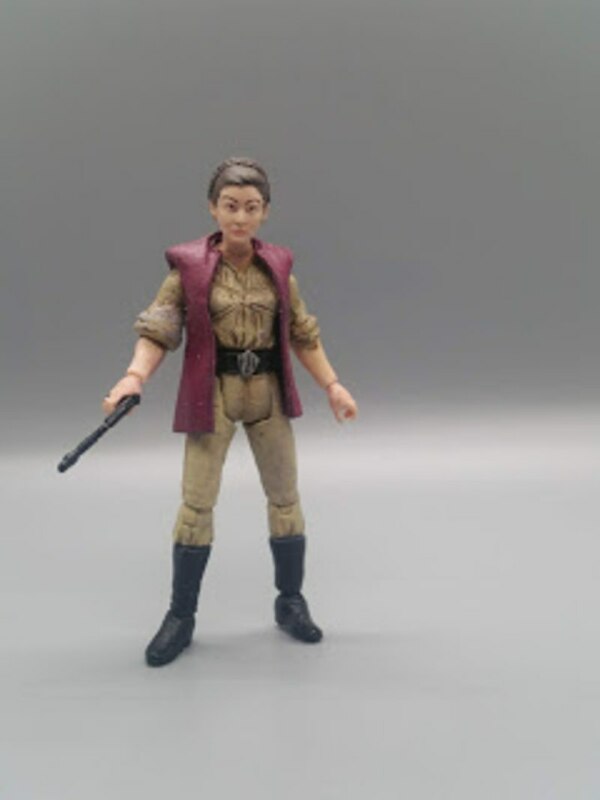 After we sanded off the pockets below the shoulders on the Sniper body, we cut the circular braid off of the figure and fused it to the head of the Black Series - "Princess Leia Organa" action figure. 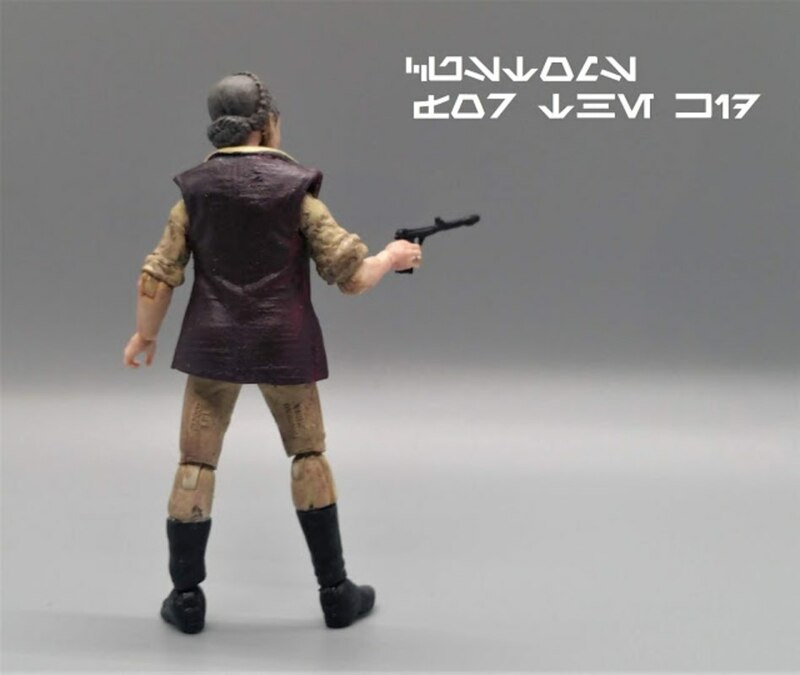 The soft plastic part of the dress from the Black Series figure was then modified with scissors to make the vest for the new figure. After some minor sculpting and a fresh coat of paint, we added a very much desired figure to the collection and we just love the way she looks."